The Celosia is a feminine closed toe sandal. This style has a padded backstrap for stability & support and a hook & loop strap at the instep for adjustability. The toe box has a unique cutout design. Naot’s removable, anatomic cork & latex footbed is wrapped in pampering suede and molds to the shape of the foot with wear. The Bloom Collection features a 1.75” polyurethane sole which is extremely lightweight, and durable. The Naot Honesty is a stylish maryjane with rhinestone accents across the instep strap.This style has padded technical lining for warmth & moisture absorption. Naot’s removable, anatomic cork & latex footbed is wrapped in pampering suede and molds to the shape of the foot with wear. The Romance Collection features a 1.25″ Polyurethabe sole with a metal shank. This collection uses a hand-sewn strobel construction making it strong and extremely flexible. With its rich, contrasting colors, the Kasmin has a special fall feel. The Kasmin’s simple yet elegant design of a bootie with an upper strap ensures you look fashionable and feel comfortable at any occasion. The Kasmin contains Naot’s removable, anatomic cork & latex footbed is wrapped in microfiber & leather and molds to the shape of the foot with wear. The Aura Collection features a 1.5″ polyurethane sole with a metal shank which is extremely lightweight, durable & abrasive to prevent slipping. This collection uses a hand-sewn stroble construction making it strong and extremely flexible. 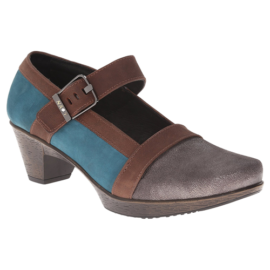 The Kata is a cute transitional shoe. 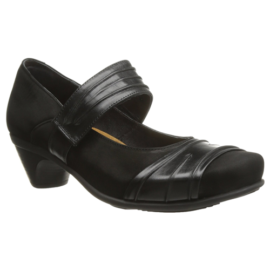 This style has a padded heel cup & instep for ultimate comfort. The Kata has laces at the instep for accessibility & adjustability. The front of this shoe has padded technical lining which provides comfort, warmth & moisture absorption. Naot’s removable, anatomic cork & latex footbed is wrapped in pampering suede and molds to the shape of the foot with wear. The Koru Collection features a 1″ polyurethane sole which is extremely lightweight, durable & slip resistant. This collection uses a hand-sewn strobel construction making it strong and extremely flexible.